Horses are beautiful and powerful animals. For a great many years the relationship between horses and humans has been strong. While horses are capable of great work and are often kept for the work they can due, they are so much more than simple beasts of burdens. For many who own or work with horses, they are as much companion and friend. Whether for work or for leisure, proper care of your horse is of paramount importance. The 2019 UF/IFAS Horse Workshop is a great place to learn these skills. This year’s South Florida Horse Workshop takes place on Thursday January 24, from 9 a.m. – 4 p.m. at Buck Daniel Ranch. Located just miles from the largest lake in Florida, Lake Okeechobee, this ranch is in the middle of what many would call old Florida. This makes the event not only an opportunity to learn, but also a great opportunity to escape the hustle and bustle of your busy daily lives. The ranch is located at 3224 SW 67th Drive, Okeechobee, FL. Tickets bought ahead of time cost $20. On the day of the event, the cost will be $25 per ticket. In addition to the information to be shared by Clint Raulerson, the event will also include a ranch skills demonstration from Gene Cox. Gene is a horse expert and trainer with over 40 years of experience. Gene offers a variety of classes and training opportunities. These range from basic horsemanship, to horsemanship training aimed at helping you learn to better manage cattle. He also spends some time doing demonstrations such as the one he will give at The Horse Workshop. For this years Horse Workshop, Gene will be bringing his 40-plus years of experience to provide a demonstration of various ranch skills. This demonstration promises to be both education and fun. While there are many reasons to attend this year’s Horse Workshop, Gene’s demonstration is sure to be something worth remembering. A variety of learning opportunities. Pasture management: There can be much more to managing a pasture than simply finding an open piece of land and letting your animals loose on it. Proper management of your pasture can have a great impact on the health of your animals. This can also have a great impact on the health your business. This station seeks to provide you with skills that will help you to manage your pastures better. 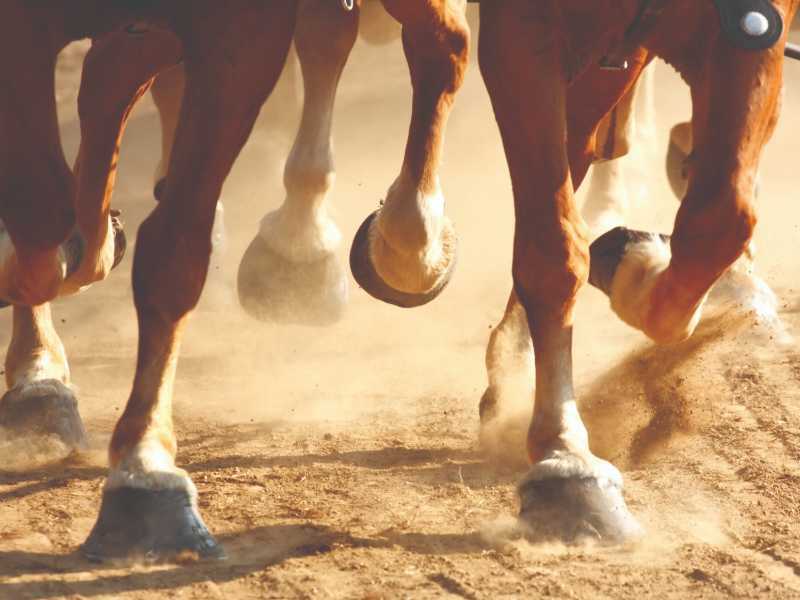 Hoof care: If you’re attending this event, you probably already understand the importance of proper hoof care to the health of your horse. You likely already have farrier that you work with. However, it is important to have at least a basic understanding of hoof care. This can help you to identify problems between visits by your farrier or veterinarian. It can also help you to perform some minor hoof care, with the guidance of your farrier. Dentistry: We understand the importance of dental care in ourselves. It is no less important for your horse. So much more than just a good smile, healthy teeth can truly lead to a healthier horse. Learn why it’s important and what you can do to help. Saddle fit: Proper saddle fitment is important to not only the health of your horse, but also to the safety of the rider. This can seem like a simply process, and it can be. Still, doing it right matters. Whether you’re a beginner just learning to saddle your horse or a long time rider, this is a great opportunity for you to learn the basics, or get a healthy refresher. Weed ID: There are a variety of weeds that grow in Florida. Many of them are harmless. However, some can be unhealthy for the animals in your pasture. This station will help you to identify which is which. Events such as this are indeed a great opportunity to learn. However, it’s also a great opportunity to spend time with people that love and live the same lifestyle that you do. The Horse Workshop is no exception. This is a great opportunity for anyone who owns or cares for equine, so come to have fun, meet people, and possibly network and start friendships that can last long past the end of this event.